Issue 3 of GUD pre-launch goodness!!! They're having a contest, so if you have a blog, and link to their blog, you could win a free set of issues. We're looking for a submission for this week's Blind Review Friday poem. Just follow the instructions in the upper left sidebar. 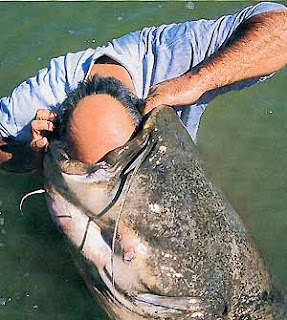 In the meantime here is a picture of a man putting his head inside the mouth of a giant catfish. Somehow this image just seems to go with having one's poetry thrown to the masses for critique. We've got three poems in the cue now! Thanks for the submissions. One of these three will be randomly selected for your perusal tomorrow. The other two will remain in the pile 'till picked at a future date. Sources do confirm that yes indeed -the man in the photo with his head in a catfish is, former poet laureat, Billy Collins. Poetry Fests—why not take the whole week off? i have been to many poetry festivals. usually lasting 2-4 days, they consist of constant readings and socializing among poets, who, as we all know can be socially challenged. but when ALL around are poets, there is noone there to throw a stone. the stimuli build, books fly off shelves as collected words suddenly seem important enough to part with cash for, friends are made and bodily clocks lose and gain minutes. never did i expect that one day i would pay air-fare and make hotel reservations to go and read poetry for ten minutes, and listen to 16 hours of others reading! i’ll write about two stand-out fests i attended. the 40 years since Berkeley 1968 reunion of John Oliver Simon, Richard Krech & Charles Potts (May 11-14, 2008) included readings by Richard Denner, Hugh Fox, Alta, David Bromige & myself. it took place in Berkeley, CA on some of the same streets these hoodlums gathered on to gripe about Vietnam and civil rights. the poets, mainly in their late sixties, have writ all these decades, so inspired the few of us who’ve only recently encountered hemmeroids. all continue publishing, and each of them only with small, independent publishers you’ve likely not heard of. unless you are a fan of the underground scene. Krech is a lawyer, Potts made it big in real estate, Denner is a Buddhist monk, complete with robes. 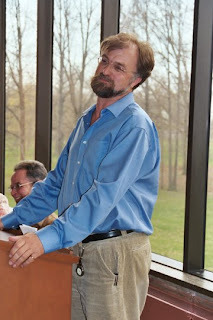 Hugh Fox is an archaeologist, who also happens to have been Board of Directors of COSMEP (1968-1996). i think what was remarkable (besides all of the grilled vegetables), was that for the younger gen who made it out there, these poets were proof one never has to pay a reading fee, or enter contests, in order to be published. they can be world-class salesmen, or physicists. and that indy poets are birds of a feather. another took place in Northamton, Mass., in November. Fest Ecstatique, put on by Byron Coley (of Arthur’s Bull Tongue review) brought together Charles Plymell, & the aforementioned Potts & Krech & Simon, with the young Sonic Youth-inspired poets, like Angela Jaeger, Matt Krefting & Wesley Eisold. Mike Watt, yes, the bass player! read poetry for the first time. 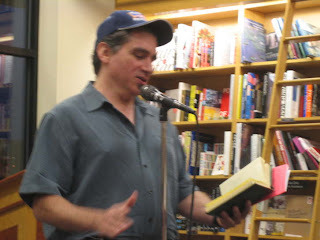 New York poet George Wallace (who came to Cleveland for Patchen Fest 2007) wowed the red barn with his poem on Big America. and the whole weekend was interspersed with noise music and indy beats, including a grand performance by Kim Gordon and Thurston Moore. the weekend was a chance to meet fellow pubs from places like Montreal & Delaware. again, the generations spanned from getting pretty old, to just getting away from the ‘rents. keep yer ears peeled, (and inboxes checked) for upcoming fests put on by C. Allen Rearick and Mark Kuhar this late Fall. (anyone got the scoop on either of these fine functions?) each have intimated to me much poetry will be had. 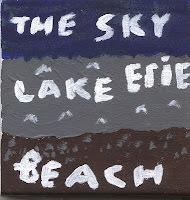 consider taking days off from work, to enter into the big, intertwining world of small poetry. what i have learned from such gatherings is the family tree of small press has a branch or twig for any ovus who care to be ‘in the leaves’. What role should poetry play? "For much of the 20th century, poets have been fixated on experimentation and quite often in very odd ways. A reaction to this experimentation led to a movement in the past 20 years called New Formalism, where some poets tried to revitalize the old forms, but much of what has been done by them has been staid. I think it's time for a new movement. The 21st century is not just a new century. It is also a new millennium. This era is beset with new technologies, untold violence, and a topsy-turvy re-organization of old structures in religion (ordination of women and gay priests), politics (the spread of democracy and fall of authoritarian regimes), education (charter schools and home schooling), and morality (the rise of alternative lifestyles). We can argue about whether these developments are positive or negative, but what role should poetry play in that argument?" And so I ask you, poets of Cleveland, in your opinion, what role should poetry play? 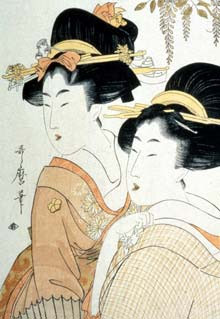 Hi folks: I've been writing a lot of haiku lately...Not sure why...Could be because I'm getting a greater sense of time and how fast it passes...haiku has the power to say a lot in 17 syllables. Mark's post below serves some food for thought. What other poets throughout history have reputations as being real jerk offs or worse? Does having artistic talent provide a free pass for scurrilous behavior? What about our buddy here to the right? Mr. Pound was an unabashed Nazi collaborator. Comments please – who belongs in the rogue’s gallery of poetic despots? We tend to think of poets as a cut above the average joe, perhaps a bit more in empathy with our fellow human beings, our surroundings, the environment and cosmic consciousness. How then does one explain poet, professor, doctor and politician Radovan Karadzic, former Bosnian Serb leader, who was arrested this past week for war crimes, including genocide in the 1992–1995 Bosnian War. 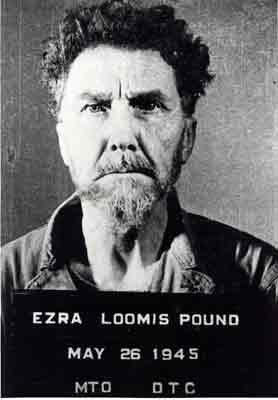 With his crazy gray pompadour, he looks every bit the poet he was, not the mass murderer he became. I have to hand it to him, the guy belted out powerful poetry, just another in a long line of Serbian poets, such as Petar Petrovich Njegosh, Vasko Popa and yes, our own Charles Simic. But something darker lurked inside him, perhaps a lust for power that dismantled his capacity for empathy and ultimately transformed him into a monster. Being part Serbian myself, I am horrified by Karadzic's crimes, and I get disturbed whenever my illusions of the "golden poet" are shattered. 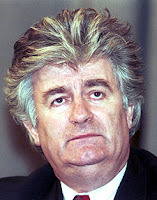 Daniel Thompson took bread to the homeless, Karadzic was responsible for the murder of thousands. It is a stark contrast. because when I grab the back of your neck, I want it to feel like a whisper. even when I am talking to you in another language, you will understand. and Ulee walks in with a Greek Tony Soprano. Christopher leans forward like he just killed somebody's poodle and Tony's unhappy about it. waiting atleast for the words, say me fee lay. It's 4:00 pm on Thursday, and the news story of the hour is Barack Obama giving a speech in front of 200,000 in Berlin. But on CNN's web site, the second top story is about poet Jon Goode. "Originally from Richmond, Virginia, Goode studied economics and finance at James Madison University in Virginia. His Southern-laced vernacular alludes to a rural upbringing. His bookish style -- starched short-sleeve button up with tie, wire-rimmed glasses and a straw boater hat -- is straight out of a Harper Lee novel. Friends liken him to "a civil rights leader that listens to rap music." Goode's spoken word performances are drawn from a collection of personal stories, most of which are true, he says. The seasoned wordsmith rose through the ranks to deliver his rhymes to the spoken-word mainstream. 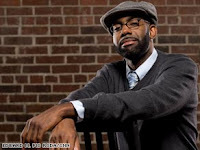 He's done writing stints and made appearances for Nike, Nickelodeon and CNN's "Black in America. But it was after an appearance on HBO's "Def Jam Poetry" that Goode really started to get noticed." Check out the entire article here. It's always good when poetry gets a marquee position in the news. a bird in flight, not a hidden fish. that which i hold too tight, lets go. Range: Cleveland, Youngstown, out of state and international. Distinguishing Markings: I Simply Stared (2002), Rhinoceros in Clumber Park (2003), The Darkening Green (2004), Those Years (2007), and poems published in national journals. cool and simple to my cheek. self-embracing arms a sleeping girl. I have always believed that poetry and activism go hand in hand, that poetry is a verbal activism in and of itself, and a precursor to actual physical action. It is no surprise, for instance, that for many decades, Central and South American revolutionary activity has been accompanied by a ragged and beautiful poetry of the soul. Well, environmental activism is the revolution of the 21st Century. Here in the old U.S. of A, that movement is being fostered by young people, and it comes as no surprise to me that Robert Redford is behind some of it. Redford, known for his support of environmental causes, is apparently a big backer of youth poetry slams as a means to communicate the dangers of global warming. Check out the following story that ran on NPR. A quick heads up. 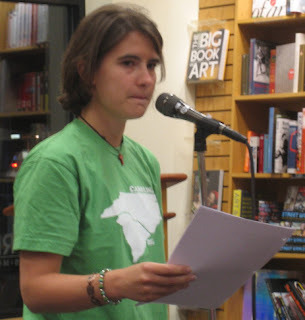 On Saturday, at ReaderCon in Boston, MA, local author Catherynne M. Valente won the 2008 Rhysling Award for her poem "The Seven Devils of Central California"
The nominees for each year's Rhysling Awards are selected by the membership of the Science Fiction Poetry Association. Each member is allowed to nominate one work in each of the two categories: "Best Long Poem" (50+ lines) and "Best Short Poem" (0-49 lines). All nominated works must have been published during the calendar year for which the present awards are being given. The Rhysling Awards are put to a final vote by the membership of the SFPA using reprints of all the nominated works presented in this voting tool called The Rhysling Anthology. The anthology allows the membership to easily review and consider all nominated works without the necessity of obtaining the diverse number of publications in which the nominated works first appeared. The Rhysling Anthology is also made available to anyone with an interest in this unique compilation of verse from some of the finest poets working in the field of SF/F/Horror poetry. The winning works are regularly reprinted in the Nebula Awards Anthology from the Science Fiction and Fantasy Writers of America, Inc., and are considered in the SF/F/H/Spec. 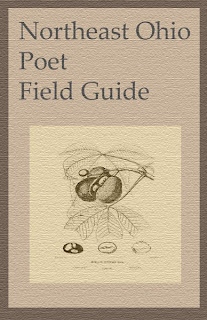 field to be the equivalent in poetry of the awards given for "prose" work--achievement awards given to poets by the writing peers of their own field of literature. I know there have been some grumblings about the scene, so I'm wondering if this wouldn't shake things up a bit? The first question is, of course, does anyone know a place where we could set up a ring? Does anyone know of a a ring already set up somewhere--a gym, a school or someplace similar? After that, I say we get a few teams together and duke it out. 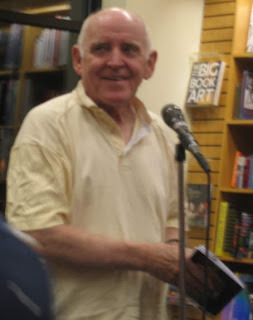 It could be a charity event for The Lit or someplace similar, but the idea of Salinger or McNeice hopping around in boxers and a robe going off on an improvisational rant tickles me to no end. I'm thinking team uniforms, tag events, an short announcer in a tight suit, the whole works. What are we to make of Kay Ryan, recently named as the new U.S. Poet Laureate? Is there any honor in being named to the post at all? After Billy Collins, I thought not. When Charles Simic was so honored, i thought, "well, maybe so." I read a selection of Kay Ryan's work, and came away pleasantly surprised by poems that clunk you over the head, with tight language, but retain a sense of cool vagueness. It's like, "something is happening here, but you don't know what it is, do you, Mr. Jones?" to drop a Dylanism. And all her poems seem to end abruptly, with a jarring crunch, like a fighter jet landing on an aircraft carrier. I have to admit it -- I like her. Check out the following poem. The "nightmare water that won't break" gets me every time. is the first thing to take up poison. rubbery, nightmare water that won't break. --from Flamingo Watching. Copyright © 1994 Copper Beech Press. 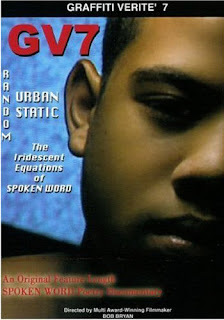 GV7:Random Urban Static is a two hour DVD featuring fifteen performance oriented poets from the United States. Included in the mix are two time national slam champion Sekou (the misfit), LA Slam Masters Mollie Angelheart and Natalie Patterson, two time grand slam champion Bridget Gray, and many others. Poets and their performances are cut with interviews that connect performance poetry to hip-hop, question the importance of race and sexuality in performance poetry, and discuss the reasons behind performance poetry. The performances range from the wild and outloud, with Common Ground (Angelheart and Patterson together) getting right in the viewers face, to the deeply personal, whether it be The Lindz weeping or Nick Lopez’s nasal performance and introverted headturning, to the humor of Tony award winning Poetri and even the obscure and bizarre Eric Haber. What was interesting, and what makes Bob Bryan’s film less of a "movie" or a "production" and more of an actual documentary was that there didn’t seem to be a message across the poets. Each poet was represented as an individual, with their opinions, beliefs and experiences allowed to interact and contradict. The movie opened up a discussion and didn’t try to pigeonhole any poet into a “performance” mold. Where one poet insists upon the poem working on the page, another poet insists that performance poetry is entirely focused on performance to the point that she doesn’t write her own work down. Where one champions directness and accessibility, another celebrates the bizarre and random. One defends the hip-hop connection to performance poetry, and another advocates breaking away from that connection and some of the negativity it brings to performance poetry. This discussion opens up the idea of performance poetry as an evolving movement with many voices, and not necessarily a static entity with no potential for growth or change. As an educational tool, this DVD invites students and teachers into the conversation and provides them with an idea of what is happening in the world of performance poetry with out being too overwhelming or too flashy. It also connects the poetry to the academy, as certain poets (Tim’m T. West and J. Walker) speak about their educational backgrounds and how that has influenced what they do in performance. While some of these poets are slam poets, this documentary also shows other aspects and venues for performance work, whether it be Hunter Lee Hughes shaking his entire body to his poem, Nick Lopez reading over a film, or even Jessica Healy taping her poems to bathroom stalls. 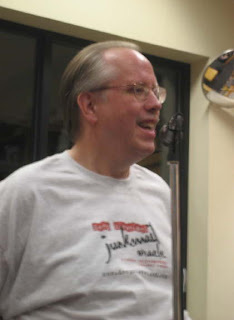 Well, to round out the portrait of Steve Ferguson, I'd have to say I came to know him in the last 3 years of his life, and found him difficult to deal with. He was very protective of his relationship with d.a.levy and distrusting of what he saw as outsiders from the group. He was very independent, and I can respect that, but he was complex too, and not a saint. It’s a different thing getting to know someone thru letters, with stamps procured & envelopes licked. Script has got charm, (even if i type my own letters). Handwritings or margin sizes are as hairstyles, or trouser choices are to presenting oneself, in society. Stylish bits of the self are thus displayed. There’s almost no limit, with letters, on subject matter, because a decent one has only to fill the page. Few other rules apply. For quick messages, a postcard may be used. Some letter writers select papers based, i think, on how much they have to say; how much room they intend to fill. Perhaps only a handful of minutes are to be had for the letter, so a smallish stationary may be used. A special fold maybe, or margins are played with. Blank greeting cards for laudatory notes or special writings. i got to know Steve Ferguson mainly thru letters. A sweet, brilliant man who never minced words, Steve floated his own boat. We met a few (brief) times at readings, but usually one of us was on our way to work just after the read, or some other thing prevented any real conversation. So what i know of Steve truly exists in his letters. While i wrote him rambling, disjointed rants, poems, and dissections, what i pried open from Bridge Ave. # 4 was often pure literature. Perhaps Steve used writing me letters as an outlet for writing in general. His sentences, maybe on pedestrian matter, by rhythm and syllabic structure sounded off the page, for miles. Sometimes he told me he no longer wrote poetry. His next letter might contain a freshly-writ poem. Of course, our selves could not be questioned or disputed. i never saved a copy of my letters, even though i drafted them on my PC, so i often wrote him the same things consecutively. Steve’s fine sentences were always new, and shifted from squirrels, to birds, to Beethoven & Bach, to his own piano playing, which involved all of the above. He often referred to his hero Steven Collins Foster. Several months before he died Steve hefted a piano into his home and acquired many Foster songs, to learn and play. One poet told me, before Bill Clinton came around, Steve Ferguson was the Slickest Willy around. Thotful, sweetheart, wildcat, & from left field---all used by others to describe the man. i think the Steve i got was my own. Certainly, the ramblings i sent to Bridge varied from those i sent in post or email, to other friends. In a sense, he and i crafted ourselves and each other on mainly white, bleached papers for a handful of years. Steve was a kind of private person. More than once he wrote, you better not tell anyone, but…. And so the idea of publishing,or giving the letters to some library special collection, say, causes me to pause. And consider. And go back. And consider, again. Like Steve, i am a too-thotful person. Steve’s humility in general, and (chosen) anonymity make me hesitate even to speak of him after his death! 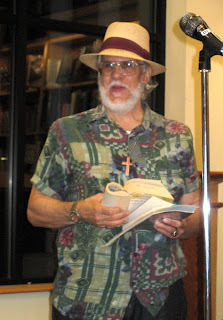 O man, i’d like to scream it from the rooftops : STEVE FERGUSON WAS A FLIPPIN AWESOME POET, HAH! Franz Kafka made it explicit he wished certain works, such as The Kastle to remain unpublished, after his death. But his executor, who was also his best friend, put it and anything else he had of Kafka’s into print, finished or not. Max Brod felt these writings both personal or professional valuable to the world. Hart Crane destroyed too late, his early writings. Posthumously, these poems which embarrassed the author were collected, as an afterword in the Crane omnibuses. So what is the value of a writer’s wish? i wish i knew what things i could print or say about Steve, and still be respecting. Perhaps i jes' better read more well his letters. There is also a ‘little book’ by Steve Green Panda Press originally published, as part of an anthology (Animals Without Backbones Cleveland, OH 2008). If you would like a copy, please email greenpandapress@yahoo.com with a mailing address. I love this site -- it's a great 1 minute writing exercise to wake up the mind. No fair cheating and taking more than the ascribed minute. Yesterday's word was SCARF. Below, my response. Draped about her neck, scrunched up against the cold, colorful silk or wrapped about the hair tying every strand out of sight. 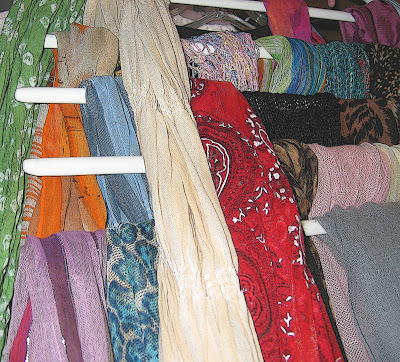 What scarf do you wear to go out in the cold? What keeps you warm and tells the world who you are? Among the open mike participants were team Smith, Jesus Crisis, Diane Borsenik, Theresa Gottl, Chris Franke (Deep Cleveland Feature August. 8) , Ralph Ryan, J. E. Stanley, Dan Smith, Jack McGuane (Deep Cleveland Feature Oct. 10), Roger Miller (Deep Cleveland Feature Nov. 14), Eric Anderson, Mary Turzillo, Geoffrey Landis, Wanda Sobieska, and many more whose names or faces I have forgotten over the past week. Welcome to Clevelandpoetics – the blog! We hope for this forum to be an adjunct to the Clevelandpoetics list serve. You want to know what is happening, when, and where, literary-wise in Northeast Ohio – subscribe to the Clevelandpoetics list serve. You want that ya should chew the fat about those events, the scene, talk shop or read posts from some of the top writers and publishers in the area and leave your two cents on what they have to say – this is the place for you. There is no set format although we will have a few recurring themes – if they work out we’ll keep them if not we’ll try something else. What we really need is input via comments and submissions to make this thing float. We’ve assembled a pretty crack crew to get this baby rolling and each has free reign over what they want to post and each is a volunteer. We think you’ll be happy with this initial incarnation. Later we’ll be looking for guest posters and switch up the writing staff just enough to keep folks guessing. Thanks – we’ll try real hard to be worth your attention. We'll be going live with content tomorrow Friday the 18th of July!